Overview: Page Plus Cellular is a Mobile Virtual Network Operator (MVNO) using the Verizon Network. Founded in 1993, it is one of the oldest MVNOs. Page Plus had 1.4 million customers as of May 2013, making it the second largest Verizon MVNO (after TracFone / Net10 / Straight Talk). On May 20, 2013 Page Plus announced that it was being acquired by Tracfone. The acquisition was completed on Jan 16, 2014. Technology: CDMA on the 850 and 1900 Mhz bands with 1xRTT and EV-DO data support on 850 and 1900 Mhz. Verizon's 4G LTE network uses bands 2 (1900), 4 (1700), 5 (850) and 13 (700). Plans: Page Plus offers pay as you go and monthly plans. 1 $2.50 is the minimum monthly cost which is achieved by using a $10 top up every 120 days. 2 MMS data transport charged at 5¢/MB on Pay As You Go or drawn from available plan data on monthly plans. 3 see the Pay As You Go Top Up Denominations table below. Taxes and Fees: Page Plus charges state and local sales and e911 taxes in all states that have them plus a 1.5% Federal Universal Service Fee and a 0.2% Regulatory Cost Recovery Fee. Total taxes and fees vary by state and range from 1% to 12%. Users can avoid the taxes by buying airtime from online vendors. Hotspot use prohibited: Page Plus terms and conditions prohibit tethering and using your phone as a hotspot. International Calling: $29.95 and higher monthly plans include a $10 international call credit. PagePlus also offers a $9 Global Card, an add-on that can be used with any monthly or the "Standard" pay-as-you-go plan. The Global Card's funds never expire and remaining balances roll-over as long as the account is active. Rates using the Global Card are quite good, sample rates for calling mobile phones are: Canada 1.6¢; Mexico 5.4¢; China 1.5¢; UK 7¢; Philippines 15.2¢. On plans without unlimited domestic calls, Global Card international calls count against your bundle of included minutes. On the pay as you plan rates listed above are in addition to the 4¢ to 10¢/minute rate for domestic calls. Page Plus does not have international direct dialing. To make an international call you must dial a 10 digit access code (212-202-6521), wait for a voice prompt and then dial the international access code and international number you're calling followed by a pound sign. PagePlus does offer Android and iOS apps to automate the clunky international calling process. International messaging: $29.95 and higher plans will include unlimited international text messages. On other plans international texts are 20¢ each. Calls made while roaming off the Verizon native network are billed at 29¢/minute on Pay As You Go and 20¢/minute on all other plans. There is no extra charge for SMS sent or received while roaming in the US on any plan. Devices: Page Plus and Page Plus authorized dealers sell officially supported Page Plus feature phones and Android phones. Page Plus service will also work with any clean-ESN, Verizon phone except phones sold for Verizon prepaid, which must be used on Verizon Prepaid until the time or minimum payment requirement specified on the phone's packaging is met. You can use a BlackBerry, however BlackBerry Internet Server (BIS) is not available so BlackBerry Mail and Messenger will not work. The BlackBerry browser and MMS will not work out of the box either but can be enabled on BlackBerry running OS 5 and earlier by loading custom service books which requires a PC and the ability to follow complex instructions. How to Activate: LTE phones require a PagePlus SIM card. Activate by calling (800) 550-2436 or online at pagepluscellular.com. You can port in a number from another carrier during activation on the Website or by calling in. Activation is free if you call to activate. An airtime PIN ($10 or higher for non-LTE plans, $29.95 for LTE plans) must be applied at activation. The PIN can be purchased using a credit card at time of activation. There is also $10 charge for activating online. The fee is waived if you are porting a number from another carrier at time of activation. Non-LTE phones - Dial *22890 and press the Talk, Send or Call button. Do not hang up until you hear the message "Your phone has been programmed successfully". If the activation fails try again dialing *22800, *22801 or *22802 or by dialing *228 and choosing option 1. All phones - turn the phone off and back on. Make a successful outgoing call. Calling #737 (Page Plus customer support) is sufficient and is a free call. When you make your first call, you will be prompted to setup your voicemail. Your initial voicemail password is the last four digits of your phone number. Payment Options: PIN codes or cards are available on the Page Plus Website and from authorized Page Plus dealers. PINs can also be purchased from callingmart.com and other online retailers. Top up a Page Plus account with a PIN code by using the 24/7 automated system at 877-359-6695 or by calling #737 from the Page Plus phone. If you set up an online account you can add a PIN online. To switch to a monthly plan from the Pay As You Go Plan or a different monthly plan you must purchase and apply a special plan PIN for the plan you want to switch to. PINS for all plans can be purchased online at pagepluscellular.com, from Page Plus dealers or by calling Page Plus at (800) 550-2436. If you are switching from a lower priced to a higher priced monthly plan or from the Pay As You Go Plan to any monthly plan, the change will occur immediately. You will lose any minutes, texts or data left on old plan. You will not lose any cash balance attached to your account. If you are switching from a higher to a lower priced monthly plan, the change will take place at the end of the current plan month. To switch from a monthly plan to the Pay As You Go Plan you must contact customer service to make the change. Warning, when you switch back to the Pay As You Go Plan from any monthly plan your voice rate will be 12¢/minute for any cash balance that was carried over to the Pay As You Go Plan from the monthly plan! PIN "Stacking": The special PIN cards for each monthly plan "stack". If you are already enrolled in a monthly plan, you can apply a plan PIN for the same plan in advance and they will not be applied until it is time to renew the plan. Pay As You Go Plan refills do not "stack". Topping up a Pay As You Go Plan account extends the expiration date by 120 days (one year for an $80 top-up) from the date of top up unless that would make new expiration date less than the current one. Automatic Refills: You can set up automatic refills with a credit card using the Auto Pay option on your My Account page. Auto Pay can automatically apply a either a Monthly plan PIN or a Pay As You Go Plan refill PIN weekly or monthly. Balance expiration: cash balances expire 120 days (one year for an $80 top-up) from the date of top up. Topping up before the expiration date rolls over the existing balance. Renewing a monthly plan from the balance does not extend the expiration date. To prevent your balance from expiring you must top up every 120 days (one year for an $80 top-up). Account Management: You can check your cash balance, available messages and data on your My Account page or by texting BAL to 7243 or by calling #737 from the phone or (800) 550-2436 from another phone and pressing "2" when prompted. To forward all calls to another number: Press *72, the 10-digit number to which you wish to forward your calls and SEND. For example: *721234567890 SEND, forwards your calls to the phone number 123-456-7890. You will hear a confirmation message or tone. Unless you are on an unlimited plan, you will be charged for forwarded calls. To cancel call forwarding: Press *73 SEND. You will hear a confirmation message or tone. To forward unanswered calls only (conditional call forwarding): Press *71 followed by the number you want calls forwarded to and SEND (*71-123-456-7890 SEND) and wait for a confirmation tone or message. Unless you are on an unlimited plan, you will be charged for forwarded calls. To cancel conditional call forwarding: Press *71 SEND and wait for a confirmation tone or message. Dial *228, then press 2, or dial *22891 to update the PRL. Do not use these codes on LTE capable phones. doing so may corrupt the phone's provisioning. Phone support: Available in English and Spanish at (800) 550-2436 or #22273 (#CCARE) from your Page Plus phone from 8 AM - Midnight (Eastern Time) 7 days a week. Online Chat support: Chat support is available on the Page Plus Support page from 8 AM - Midnight (Eastern Time) every day. Page Plus Pros: Verizon coverage, BYOD, inexpensive pay as you go voice and messaging. Wide range of competitively priced monthly plans. Support for call waiting, call forwarding and 3-way calling. LTE. Page Plus Cons: Customer support issues. Your PP link (under Overview) goes to Red Pocket. Yeswap, pageplus support 4g in the future? I know we can activate 4g phones on pageplus by removing the lte sim, but that means that there will be no 4g data right? I imagine Page Plus will get 4G eventually. No idea when though. Hi Yeswap, does Pageplus offer the abiliity to block all messages? Is there any reason to choose Verizon $50 unleashed plan over the PagePlus $40 unlimited plan, besides the fact that Verizon offers ringback tones? Also, couldn't one save even more if they could fit the tNt $30 plan? Also, what is your opinion on the tNt 430 vs. H2O Wireless unlimited talk and text plan? Is Virgin's paylo plan good also? Verizon offers ringback tones? - Verizon has 24 hour customer support and it's easier to buy and activate replacement phones. could fit the tNt $30 plan? - Of course. Also, what is your opinion on the tNt 430 vs. H2O Wireless unlimited talk and text plan? - I see too many complaints about poor customer service and hidden limits on H2O's unlimited plans to recommend them. Is Virgin's paylo plan good also? PayLo seems overpriced considering the limited coverage and phone selection. Hi Yeswap, is it possible to flash a metropcs phone to pageplus? Can I buy a metropcs phone from the store brand new, not activate it on metro, and just use it on pageplus? the reason i ask is because many metropcs phones are really cheap right now. It might be possible but it won't be easy. Probably not worth the trouble unless you can find and (understand) instructions for your particular phone model. I have used PagePlus for 3.5 years, and the actual Vzw phone service is fine. The prices are very reasonable. Cons? 5. Buying new, refurb and used phones and having them work reliably. I had bad luck with this. Both new smartphones developed serious problems not covered by warranty. One new, one refurb and one used phone were fine. The other 5 new, refurb or used phones developed problems that I have never experienced with the many GSM phones I have owned, ranging from screen, SD slot and keyboard failure to a broken hinge. I am very careful with phones and none of these failures were caused by rough use or accidents. Overall I am satisfied, but if I had it to do all over again, I would have stuck with GSM service to avoid the time and money wasted on research and Vzw phones. Pageplus is closing their Holland, Ohio HQ as of January 16, 2015. No surprise; CS has been offshore for a while now. If it's the Verizon version, yes. Can anyone confirm you got a Straight Talk/Net10 Pop Icon or Moto E working on Page Plus? That $12 plan works for me. Kitty Wireless Page Plus Promotion - 50% OFF your 1st month on Page Plus with any new activation. Page Plus is now offering auto-pay discounts. The discount is not the usual $5 like other carriers but they are nonetheless offering some sore of incentive for people to use their autopay. Of course all plans are still subject to applicable taxes and such. Anyone considering or currently with Pageplus should consider Selectel, Redpocket or Boom plans instead. Pageplus horrid, horrid customer "service*, just like the rest of the America Movil brands. I have had page plus and never had a problem with them except one time my international credit wasn't kicking in. They fixed it though. On the other hand, Total Wireless was horrible to me eventhough I had them for one month only. They stole my data and told me to buy more. I would not do business with them again. 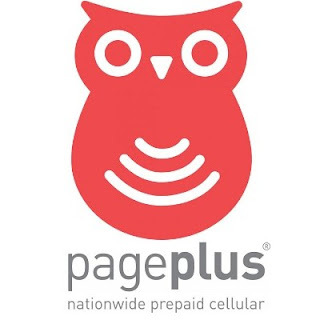 I know PP and TW are part of the same parent company but my advise if that if you absolutely have to have America Movil, Page Plus might be the lesser of the evils. Just my humble opinion. I have tried both Selectel and Boom and agree that they have far better customer service, especially Boom. Red Pocket, I have actually heard bad reviews about. I don't have personal experiences with them but I would stay away based on the warnings of many people here and other forums. PagePlus website offers $2-5/month discount for "AutoRefill" of monthly plans. Reduces prices to $10, $27, $36 and $50. One more way to get rid of the dealers who haven't already left. ...plus $6 off on the $70 plan, to $64. Just refuse any Carlos Slime America Movil "brand". They all share the same customer disservice circus ethic.